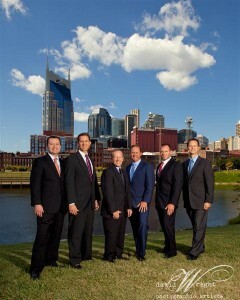 Under the leadership of Bob Goodall (President), Goodall Homes ranked #90 in Nashville Business Journal's Top 100 list for Revenue in 2010 with a total revenue of $33.2 million (according to the September 16th publication of the NBJ). And in order for there to be a lot of revenue, there must be a lot of sales, and of course, a lot of satisfied customers! Goodall ranked #18 for the one-year percentage growth in revenue with 25.11%, and their two year percentage increase (2008-2010) was 67.41%! As you can see, things are looking good at Goodall! We are adding communities, adding new product, adding new people, and selling more homes. This also means more happy customers, and of course, more happy employees! No complaints here!